There are so many things to love about Christmas. The snow, the Christmas tree and the Christmas gifts. But what you love the most is the Christmas candy. There are many candies out there but you can only eat this particular one on Christmas. It tastes very different from the Halloween candy. For you, the Christmas candy is way better than that. Unfortunately, that candy is missing. You really crave for that candy so you can't leave the place without it. Thankfully, there are clues that can help you to locate what you are looking for. On the other note, there are puzzles that you will encounter before you can finally see the candy. The good news is, there are hints that can help you with those. 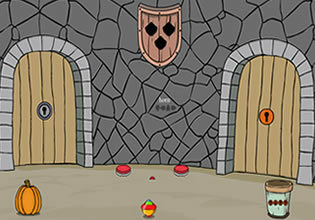 Not only that, there are also items along the way that you can use to solve the puzzles. You just have to use your logic so you can finally find and eat that candy. Another kid might find this candy so you have to move as fast as you can. 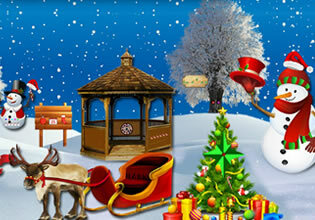 Play this newest point n' click outdoor escape game by Top 10 New Games and Find The Christmas Candy. Good luck and have fun!